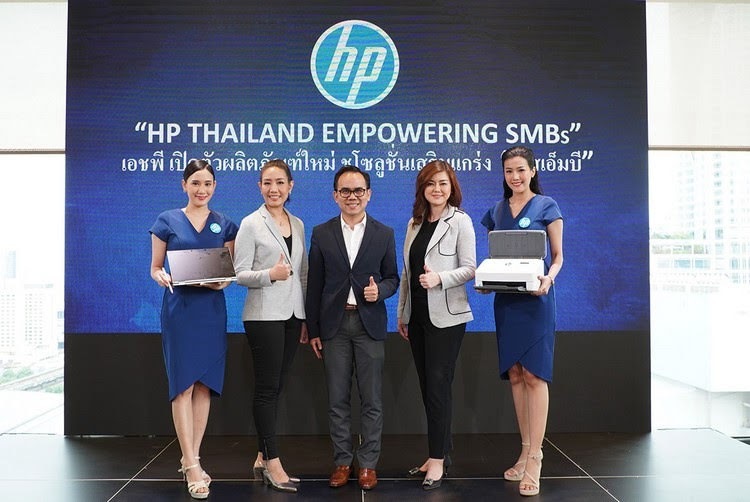 Bangkok, Thailand, July 24, 2018 — HP Thailand today unveiled new commercial PC and print innovation at its Empowering SMBs event. 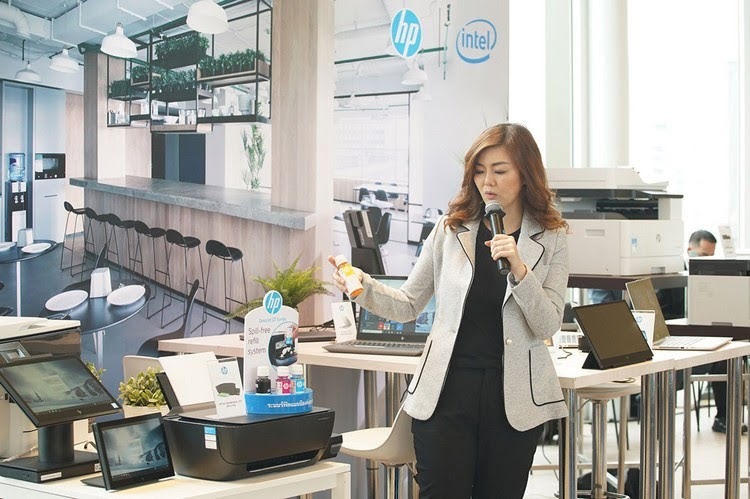 The new suite of devices, including the HP Elite PC portfolio, HP ZBook workstations series and HP A3 PageWide Multifunction Printer, are designed to meet the digital transformation needs of SMBs in Thailand. The latest HP commercial products allow mobile workers to securely connect, create effortlessly and collaborate seamlessly. SMBs need innovative and secure technology solutions that enable seamless collaboration. 94% of today’s professionals agree that collaboration is critical and spend about 40% of their time, or over 700 hours per year, in conference calls. The HP Elite devices launched today are part of the world’s most secure and manageable PCs and include a full suite of solutions, including the HP Endpoint Security Controller, Hp Sure Start Gen4 and HP Sure Run. 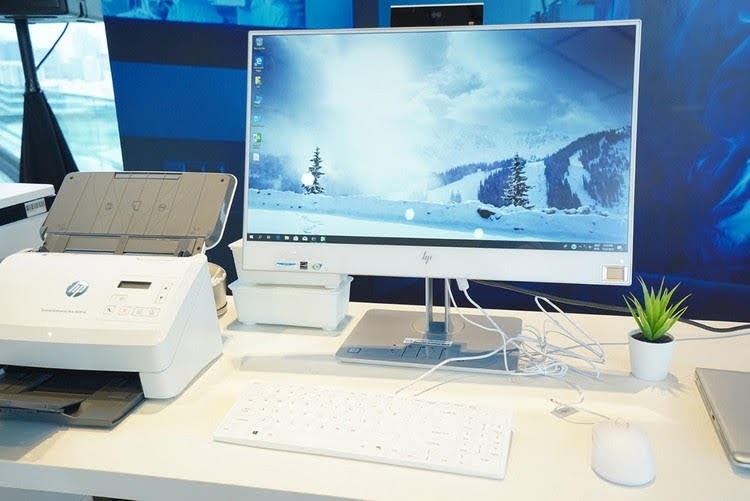 HP EliteOne 800 G4 23.8 Healthcare Edition AIO, an All-In-One PC that optimizes clinical workflows and is engineered for easy, repeatable sanitization. It is enhanced with optional integrated authentication features and collaboration tools for telemedicine. HP EliteBook 840 G5 Notebook PC is beautifully crafted with the modern professional in mind, the highly secure and manageable PC that offers powerful collaboration tools for productivity on the go or at the office. HP EliteBook x360 1030 G3 is the world’s smallest business convertible with a starting weight of only 2.76 lbs. and is 15.8 mm thin. With up to 18 hours of battery life and 4G Cat9 LTE for ultimate connectivity, this sleek device features the world’s first active pen with proximity alert for business PCs to notify a user when the pen is left behind and an optional, first of its kind, outdoor viewable display. 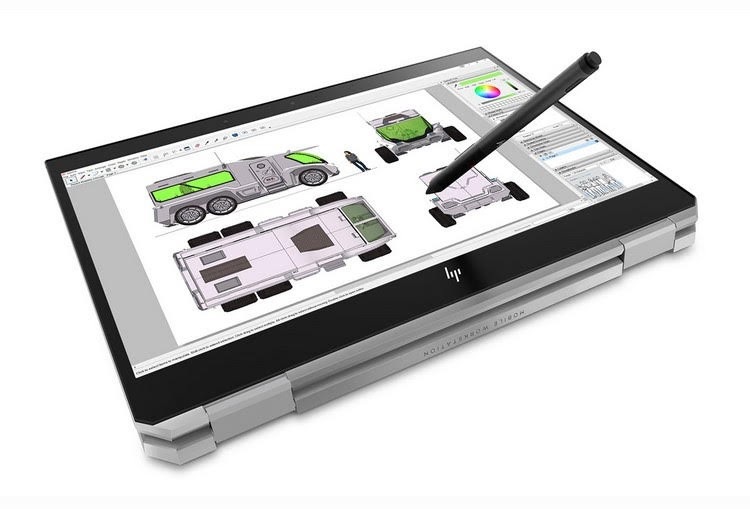 The newest HP ZBooks tout precision-crafted machined aluminum for enhanced structural integrity, durability and weight-savings, and streamlined narrow border displays allow for more screen real estate in a smaller chassis. Beyond its unparalleled design, the HP ZBooks are the world’s most secure and manageable mobile workstations. HP ZBook Studio x360 G5 is the world’s most powerful convertible PC. This versatile laptop gives users the latest convertible design with professional-grade performance needed to run multiple apps with speed and responsiveness. Users can edit high-resolution images without delay, with NVIDIA® graphics and Intel® Xeon® processors. HP ZBook 17 G5 delivers the performance of a desktop with the freedom of a laptop. The HP ZBook 17 G5, the world's most powerful mobile workstation, is packed with 50 percent more cores generation over generation, up to 10 TB storage, 64 GB memory, NVIDIA® Quadro® P5200 graphics and 20 percent better thermals generation over generation to stay cool and quiet. 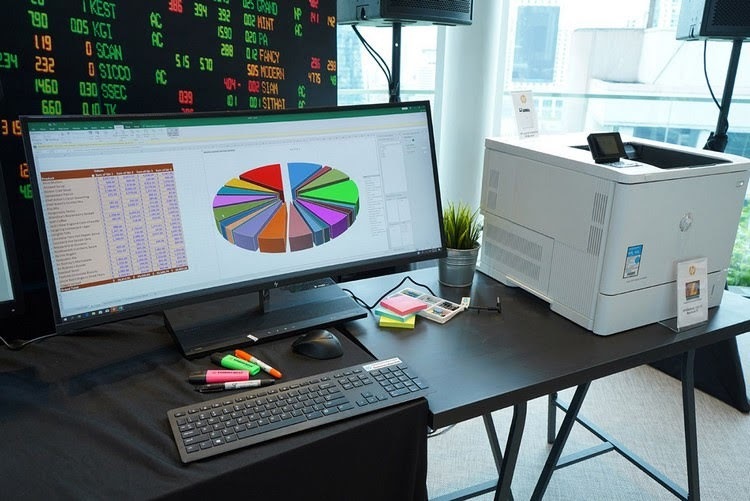 HP offers one of the most complete portfolios of print technologies which enable balanced deployment and the industry’s best security, workflow, mobility and fleet management solutions. Security is at the heart of our print innovation, and our solutions help SMBs and larger businesses improve productivity, control costs, reduce risk and improve compliance. HP Ink Tank Wireless 415 is best suited for small businesses up to 9 users looking to print large quantities of printouts easily and at affordable rates. The HP Ink Tank Wireless 415 delivers high quality prints with a reliable, spill-free ink system that delivers up to 8,000 pages in colour or 6,000 pages in black. The device also offers an extremely low cost-per-page and wireless printing from a range of mobile devices. HP PageWide Managed Color MFP P77740z enables medium-sized businesses 20-30 users to large enterprises with powerful productivity in a smart, efficient design. The next generation of HP PageWide provides fast-moving business with affordable colour, maximum uptime, and strong security. 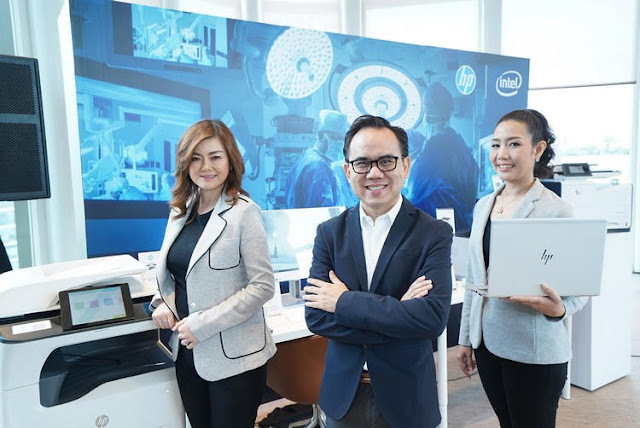 HP EliteOne 800G4 Healthcare edition AIO is expected to be available in August for a starting price of 36,990 Baht (include VAT). HP Elitebook 840 G5 Healthcare Edition Notebook PC is expected to be available in Now for a starting price of 42,490 Baht (include Vat). HP Elitebook x360 1030 G3 is available in Now for a starting price of 49,390 Baht (include Vat). HP Zbook studio x360 G5 is expected to be available in August for a starting price of 121,900 Baht (include Vat). 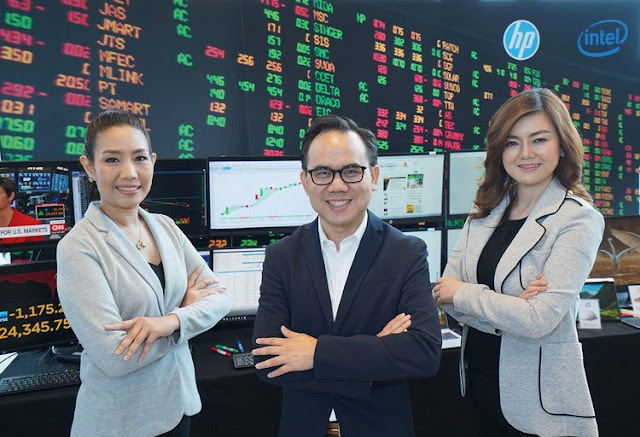 HP ZBook 17 G5 is available now for a starting price of 82,000 Baht (include Vat).